Nipsey Hussle has set out to change the game with his Proud2Pay movement. Here’s a new visual courtesy of Vibe TV where the Los Angeles based artist explains the inspiration behind giving Crenshaw a $100 price tag and why he’ll continue to reward the first 1,000 fans who supported with a purchase. In fact, Nipsey shares his plans to hook fans up for the remainder of his career with random mailed gifts and special access to hear future project’s in advance before the general public. 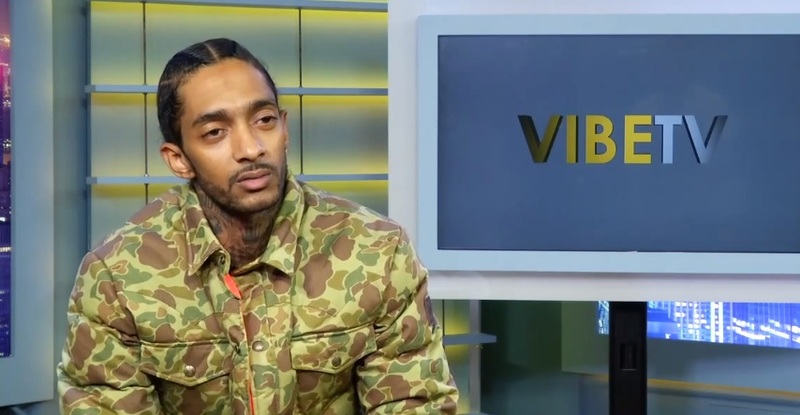 Before calling it a wrap, Hussle talks what it meant to him to earn JAY Z’s co-sign when the rap mogul purchased 100 copies. This entry was posted in Interview, Video and tagged crenshaw, hip hop, Interview, nipsey hussle, rap, vibe tv. Bookmark the permalink.